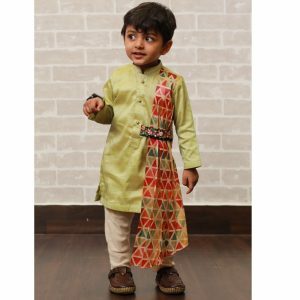 When you come to us for online shopping for Boys ethnic wear, you can be assured of getting the best value for your money. 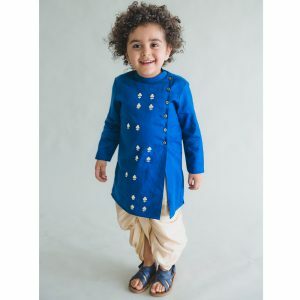 You can buy ethnic clothing for boys online within your budget. Plus, we bring to you styles and drapes that may not even have hit the streets. 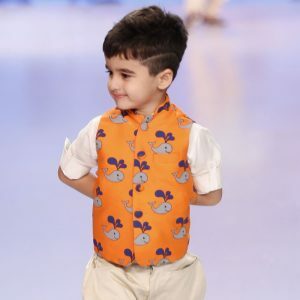 So, your little boy will surely be making a fashion statement with our trendy and classy outfits. 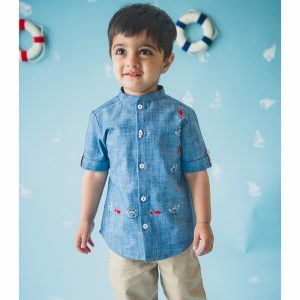 Curious Village is a unique place to go online shopping in India for kids wear. It is because we offer not only ready-to-wear outfits, but also special made outfits. 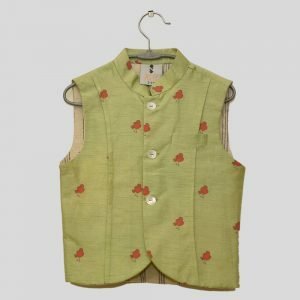 If you like a particular pattern or design of outfit, but want a different material or cut, we can customize the outfit to meet your stringent specifications. 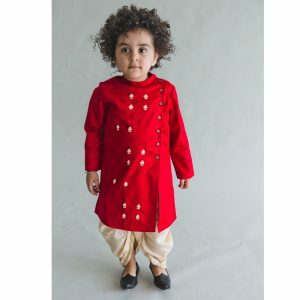 We can also custom tailor the outfit according to your childs measurements. So, you will get an outfit that offers the perfect fit. 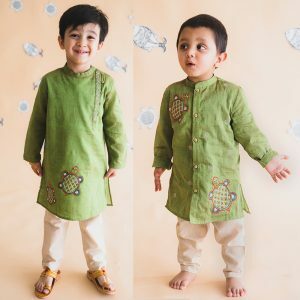 After you place an order for custom-made ethnic clothing for boys online at Curious Village, we will take about 2 weeks to design and tailor the outfit. 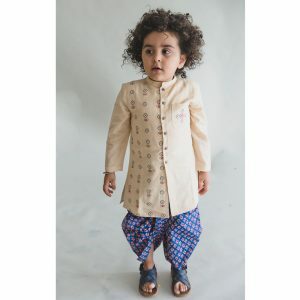 However, if you are short of time and want ethnic wear for baby boy for a special occasion, choose the ready wear outfit. 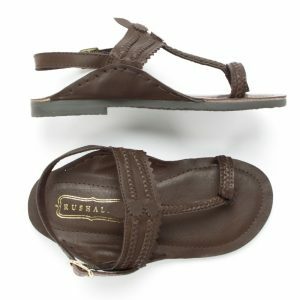 We will ship the product within three days, depending on your address location. Our quality experts do a thorough check of the outfit before packing it. So, you can be assured that there will be no damages in the traditional outfit that you order. Dont waste time. 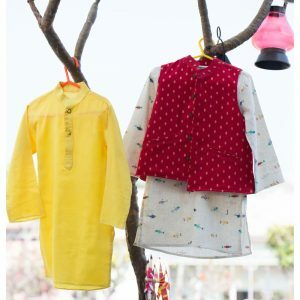 Browse through Curious Village, the best place to buy ethnic wear for kid boy!